SE "UkrRTC "Energostal" has started to environmental efficiency calculation works realization of the shifting to once-through operation mode of the double-hearth steelmaking unit No. 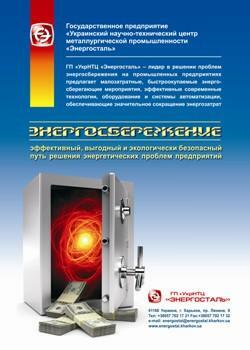 6 of PJSC "ArcelorMittal Kryvoy Rog" open-hearth shop. The commissioning works program was developed and agreed with PJSC "ArcelorMittal Kryvoi Rog". This work is aimed on reducing of fugitive emissions volume, which will improve the ecological situation in the region.